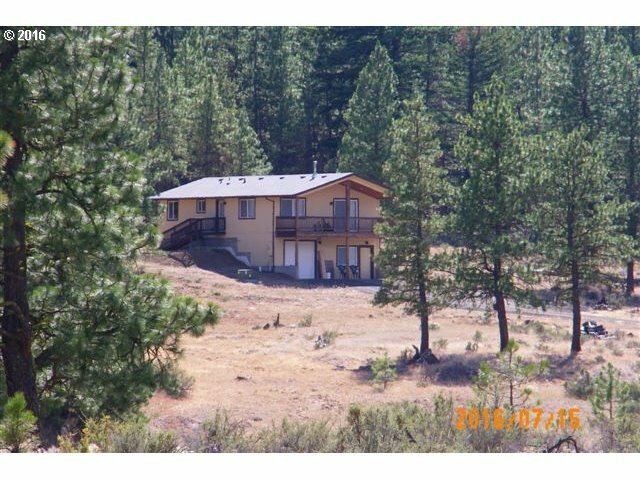 Idyllic secluded wooded 20 acres, lightly used vacation cabin, suitable for full time residence. Dark skies, 8.5 miles northeast of Goldendale Observatory. This is a quality Timberland Homes modular (not manufactured) home built over a daylight basement; 2 story appearance. Uniquely sturdy AND knotty pine charming. Well maintained and clean. Wildlife and star gazing here.